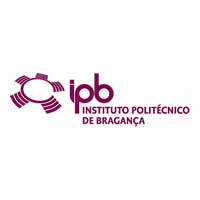 O Instituto Politécnico de Bragança (IPB) é uma instituição pública de ensino superior de Portugal que tem por missão a criação, transmissão e difusão do conhecimento técnico-científico e do saber de natureza profissional, através da articulação do estudo, do ensino, da investigação orientada e do desenvolvimento experimental. O descontrolo emocional e o conflito andam muitas vezes juntos. É inerente ao ser humano. Acredita-se que as relações de querer, poder e controlar constituem os principais determinantes do conflito. Atualmente o conflito é entendido como promotor de transformações organizacionais, exigindo especial atenção, reflexão, capacidade e competência da parte dos líderes das organizações. Independente do determinante do conflito, existem habilidades, características ou estratégias que podem desenvolver-se e ser utilizadas para promover uma eficiente gestão das emoções. A autoimagem - perceção pessoal de si - apresenta relação com o perfil físico emergente da Gordura Visceral Abdominal (GVA), tendo como consequência perceções pessoais promotoras de emoções negativas, além de quadros patológicos de caráter metabólico e postural. Estas alterações na imagem, nomeadamente no que respeita à existência de GVA, influenciam não só a saúde física, mas também os relacionamentos interpessoais, a autoestima e autoaceitação. A Fome Emocional situa a relação construída entre o comportamento alimentar e o estado emocional, ou seja, a fome “fisiológica” surge gradualmente é saciável com nutrientes, de cujo consumo emerge saciação e bem-estar. Já a Fome Emocional é súbita e crucial, dirigida a alimentos específicos e não induz saciação mas sim sentimentos de vergonha, impotência e tristeza. A evolução do ensino e da sociedade em geral exigem, da parte de quem forma e de quem se forma, competências cada vez mais complexas e diversificadas a que a formação inicial de professores tem de dar resposta(s). As instituições do ensino superior não podem permanecer no jogo do cego que vê tudo, pois a tarefa que atualmente têm em mãos, obriga a ver, a ouvir e a saber dar respostas. Nesta tríade tem lugar a competência, uma das questões perenes com a qual se debatem as instituições de ensino superior (o problema da definição de competências). A abordagem por competências ao nível do ensino e o modelo de formação que daí advém parece ser o que sustenta, hoje em dia, todo o processo de profissionalização. Nesta comunicação vou atender a duas dimensões, em função de um estudo que realizei com alunos da formação inicial, nomeadamente às competências e ao modelo de formação a considerar. Os futuros/professores entendem que ser competente significa agir com pertinência, mobilizar os saberes e os conhecimentos dentro de um contexto profissional, integrar/combinar e transferir os saberes múltiplos e heterogéneos, e estar-se disponível para aprender a aprender, comprometendo-se com a profissão. Fatores diferenciadores do potencial empreendedor dos estudantes da Escola Superior Agrária de Bragança. Mendes, Patricia A.P. ; Rodrigues, A. E.; Horcajada, Patricia; Serre, Christian; Silva, José A.C. Single, binary and ternary breakthrough experiments of hexane (C6) isomers n-hexane (nHEX), 3-methylpentane(3MP), and 2,2-dimethylbutane (22DMB) were performed in the microporous zinc methyl-imidazolate metal–organic framework ZIF-8, covering the temperature range between 313 and 423 K and partial pressures up to 20 kPa. Adsorption equilibrium isotherms for nHEX were collected from single component breakthrough experiments who show that the sorption behavior of linear nHEX is totally different than the one observed for the branched isomers. Indeed, while nHEX is retained in the bed the branched paraffins spontaneously breakthrough leading to an efficient separation with a remarkable working capacity (25 wt%) for nHEX at 313 K and partial pressure 10 kPa. Langmuir isotherm is found to reasonably describe the adsorption equilibrium data of nHEX while the heat of sorption reaches 32.8 kJ/mol with Langmuir equilibrium affinity constants ranging from 1.73 to 0.0624 kPa 1 between 313 and 423 K, respectively. The ternary experiments (nHEX/3MP/22DMB) show a complete separation between nHEX and the branched isomers together with an adsorbed amount of nHEX similar to the one found in single component experiments. In the binary experiments (3MP/22DMB) the separation and sorption capacity is negligible. A fixed bed adsorption dynamic model is used to demonstrate that the complete separation of nHEX from the branched paraffins is due to a spontaneous breakthrough ofthe branched paraffins due to its lower diffusivity values when compared with nHEX. Mendes, Patricia; Rodrigues, A.E. ; Horcajada, Patricia; Eubank, Jarrod; Devic, Thomas; Serre, Christian; Silva, José A.C.
Mendes, Patricia A. P.; Horcajada, Patricia; Rives, Sébastien; Ren, Hong; Rodrigues, A.E. ; Devic, Thomas; Magnier, Emmanuel; Trens, Philippe; Jobic, Hervé; Ollivier, Jacques; Maurin, Guillaume; Serre, Christian; Silva, José A.C. The separation ability of branched alkane isomers (nHEX, 3MP, 22DMB) of the flexible and functionalized microporous iron(III) dicarboxylate MIL-53(Fe)-(CF3)2 solid is evaluated through a combination of breakthrough experiments (binary or ternary mixtures), adsorption isotherms, X-ray diffraction temperature analysis, quasi-elastic neutron scattering measurements and molecular dynamics simulations. A kinetically controlled molecular sieve separation between the di-branched isomer of hexane 22DMB from a mixture of paraffins is achieved. The reported total separation between mono- and di-branched alkanes which was neither predicted nor observed so far in any class of porous solids is spectacular and paves the way towards a potential unprecedented upgrading of the RON of gasoline. Silva, José A.C.; Cunha, Adelino F.; Schumann, Kristin; Rodrigues, A.E. The binary sorption CO2 and CH4 in binderless beads of 13X zeolite has been investigated between 313 and 473 K and total pressure up to 5 atm through fixed bed adsorption experiments. The amount adsorbed of CO2 and CH4 is around 4.7 mmol/gads and 0.4 mmol/gads, respectively, at 313 K and 3.7 atm in a 50/50 equimolar mixture. In a 25(CO2)/75(CH4) mixture the amount adsorbed is 4.0 and 0.84 mmol/g at the same temperature and pressure. Experimental selectivities CO2/CH4 range from 37 at a low pressure of 0.667 atm to approximately 5 at the high temperature of 423 K. Comparing these values with the ones in literature CO2 adsorption capacity is 20% higher than in CECA 13X binder pellets. The CO2/CH4 binary isotherms were fitted with the extended Fowler model that takes into account interaction between adsorbed molecules at adjacent sites suggesting a moderate attraction between CO2 and CH4. The model is validated through a graphical method using the single component isotherm parameters. The breakthrough curves measured show a plateau of pure CH4 of approximately 6 min depending of the operating conditions chosen. Silva, José A.C.; Ferreira, Alexandre; Mendes, Patricia A.P. ; Cunha, Adelino F.; Gleichmann, Kristin; Rodrigues, A.E. Silva, José A.C.; Rodrigues, A.E. The zero-length column (ZLC) technique has been developed to measure the intracrystalline diffusivity of strongly adsorbed species in large zeolite crystals above 50μm in the Henry's law range of sorption equilibrium. The ZLC is a macroscopic technique, and there is a need of large crystallites or pellets to measure the intracrystalline diffusivity Dc of fast diffusion species or the macropore diffusivity DP of weakly adsorbed species, respectively. Another limitation is that ZLC desorption curves produce similar concentration profiles (linear isotherms) in bidisperse adsorbents (pellets) under macropore or micropore diffusion control. Moreover, the forms of the response curves are very similar in both diffusion- and nonlinear equilibrium-controlled processes, leading to some misinterpretations of ZLC experiments. In this work, two criteria are developed showing that, in order to macroscopically measure the micropore diffusion time constant rc 2/Dc or the macropore diffusion time constant Rp 2(1 + K)/Dp , the time of the ZLC experiments t should be higher than 7.0×10-2 rc 2/Dc or 7.0×10-2 Rp 2(1 + K)/Dp, respectively. The interpretation of the ZLC response curve data is also checked in two completely different regimes, showing that a single ZLC response curve is not enough to conclude if a system is under a kinetic or an equilibrium regime. Amorim, Sara I.R. ; Pais, Jorge C.; Vale, Aline C.; Minhoto, Manuel J.C. Most design methods for road pavements require the design traffic, based on the transformation of the traffic spectrum, to be calculated into a number of equivalent passages of a standard axle using the equivalent axle load factors. Generally, these factors only consider the type of axle (single, tandem or tridem), but they do not consider the type of wheel on the axles, i.e., single or dual wheel. The type of wheel has an important influence on the calculation of the design traffic. The existing design methods assume that the equivalent axle load factors are valid for all pavement structures and do not consider the thickness and stiffness of the pavement layers. This paper presents the results of the development of a model for the calculation of the equivalent axle load factors considering the type of axle, the type of wheel and the constitution of the pavement. The model was developed based on the tensile strain at the bottom of the asphalt layer that is responsible for bottom-up cracking in asphalt pavement, which is the most widely considered distress mode for flexible road pavements. The work developed in this study also presents the influence of the type of wheel (single and dual) on pavement performance. The results of this work allowed the conclusion that the equivalent axle load factors for single wheels is approximately 10 times greater than for a dual wheel. This work also proposes average values for the equivalent axle load factors. An artificial neural network was developed to calculate the equivalent axle load factors.